Valley View is a lovely single-storey apartment next to the owners' home, two miles from Mevagissey. 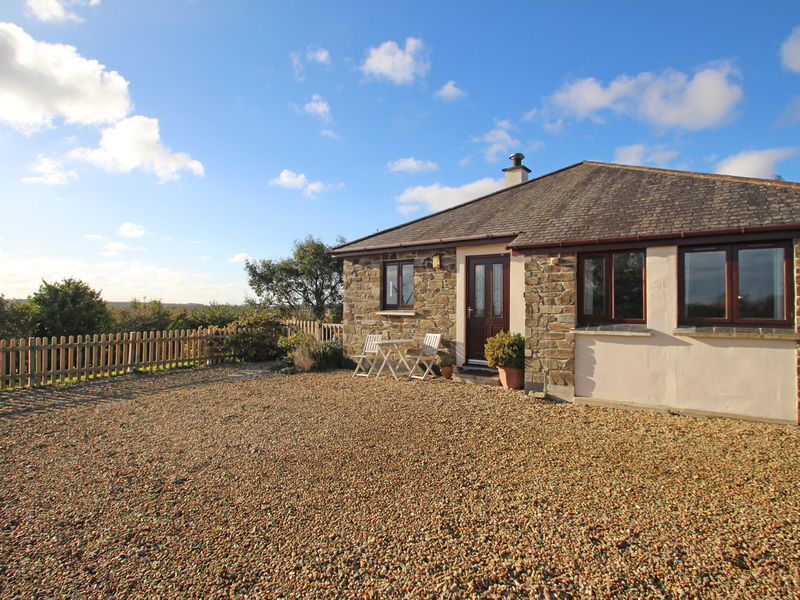 This cottage sleeps two people and has a double bedroom with en-suite and an open plan living area with kitchen, dining area and sitting area. Outside there's off road parking for two cars and a garden with gravelled patio and lawned area with furniture. Valley View is an ideal couples retreat with plenty to see and do in the area, such as the Lost Gardens of Heligan, Mevagissey and Portmellon Cove. Oil central heating. Electric oven and hob, microwave, fridge/freezer, TV with Freeview, DVD, WiFi, selection of books, games and DVDs. Fuel and power inc. in rent. Bed linen and towels inc. in rent. Off road parking for 2 cars. Garden with gravelled patio and lawned area with furniture. Shared access to 10 acres of grounds. Two well-behaved pets welcome. Sorry, no smoking. Shop and pub 1.5 miles. Note: No children including infants.